Home How do I get my prescription refilled? It’s that time again. You only have a few tablets left of your daily medication, so you’ll need to get more. But when you check the bottle, it says that you do not have any refills left. This means you cannot get a new supply until your refills are renewed. The very first thing you should do is call your pharmacy. Yes, even if you have zero refills. The pharmacy is the expert bridge between you and your provider that makes the process easier and more efficient for everyone. When you call your pharmacist, they send a message straight to your provider’s care team. They can also make special notes, such as if you are concerned about your dosage. Nursing staff will review the request from the pharmacy. 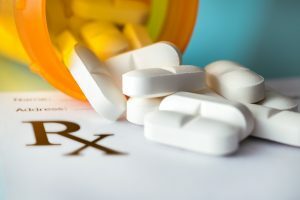 Nurses are expertly trained to review medications in this situation so that they can give providers more time to spend with you and other patients during appointments. They also check to make sure you are eligible for a refill. How do I know if I’m eligible for a refill? 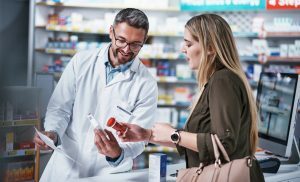 When your provider’s nurse receives a request from the pharmacy, they will look up the last time you came in for a physical or medication review. A medication review can include a Medicare wellness exam, post-partum exam, well-child exam, pre-op exam and more. If you were seen within the last year, then you can typically be approved for a refill without having to see your provider. The reason for requiring a recent exam is so that they can get updates on your health, required lab work and to make sure you are taking the proper medication and the correct dose to keep you as healthy as possible. If you have scheduled a physical or exam but it is many months away, not to worry. As long as the nurse sees that your appointment is scheduled, they will refill your prescription. On the flip side, if you request a refill and are due for a physical, the nurse will write that on your prescription and contact you to help you get that scheduled. If you schedule that appointment, they can then refill your prescription. If you don’t, they can’t refill it until you do. Can I use MyChart for a refill? MyChart is a wonderful tool for viewing test results, communicating with your provider and more, but we recommend that you do not use it to request refills. MyChart and your pharmacy are completely separate from one another. Your pharmacy is the one that keeps track of how many refills you have left and when your medication is ready to pick up. If you request a prescription refill through MyChart, that message gets sent straight to your provider’s care team. 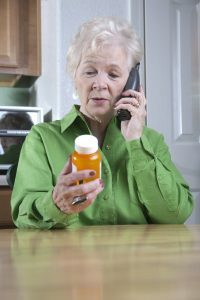 The nurse who reads the message has to call your pharmacy to confirm how many refills you have. Often times, the pharmacy will find that you actually do have refills left and can fill your prescription right then and there. Your nurse does not have access to that information if your request comes through MyChart, which makes you wait longer for your refill. By calling your pharmacy directly instead of using MyChart, you make the process easier and shorter.